High-speed, multichannel USB CAN data logger systems and CAN bus software with support for OBDII, J1939, CAN output and DBC files. Multichannel USB CAN systems and CAN bus software with support for OBDII, J1939, XCP/CCP, CAN transmit and DBC files. PLUG-AND-PLAY CAN INTERFACES: Our CAN interfaces are robust and easy to use. Simply connect CAN device to the USB port of your laptop or any of our SBOX or KRYPTON CPU computers and device will be recognized automatically and ready to use. 2, 4 or 8 CAN PORTS: CAN devices with 2, 4 or 8 CAN ports are available. Multiple CAN devices can be synchronized together to expand to more CAN ports. HIGH-SPEED ISOLATED CAN: Each of the CAN ports on any CAN device is isolated and utilizes high speed CAN 2.0b standard. 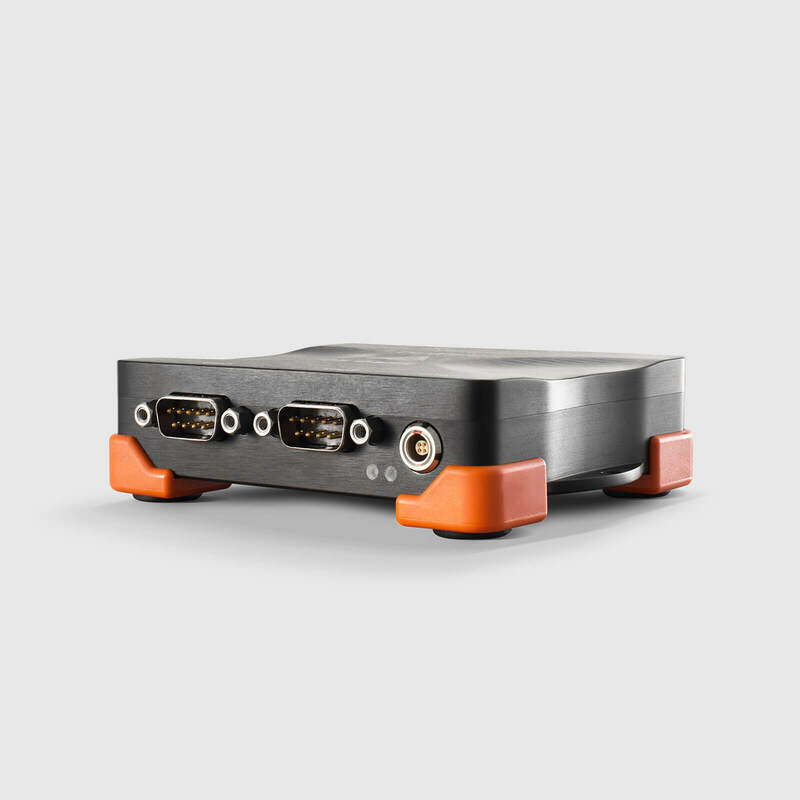 FANLESS CHASSIS AVAILABLE: While 2 and 4 port CAN port are fanless by default, also 8 port CAN device can be built into fanless aluminum chassis with IP50 degree of protection for worry-free CAN acquisition in harsh, dusty environments. OBDII AND J1939 SUPPORT: All CAN interface have OBDII and J1939 standard support. 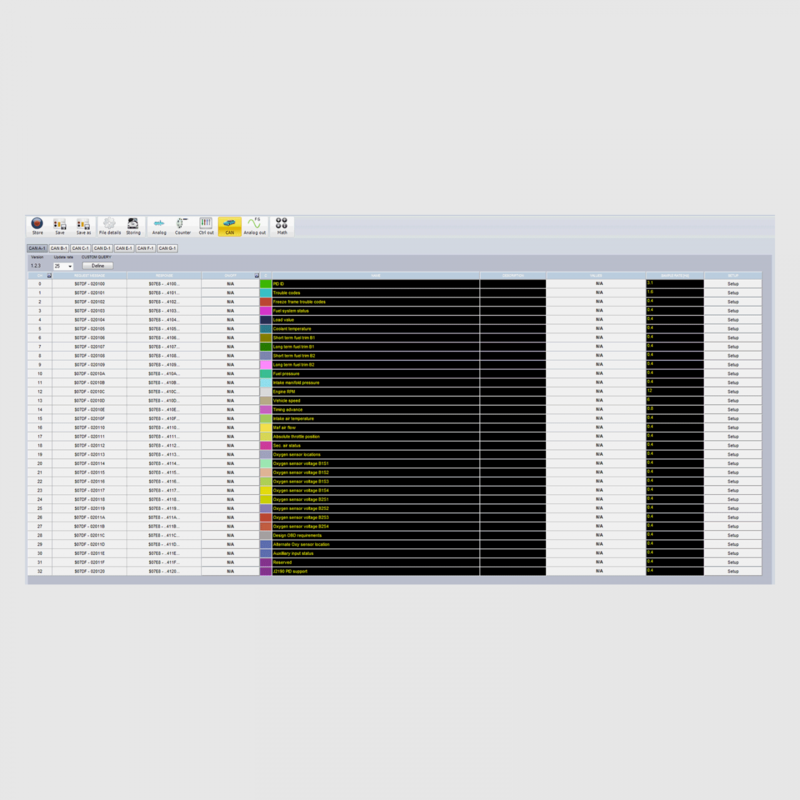 FLEXRAY and XCP/CCP: Additional automotive protocols XCP/CCP are supported as well with the included Dewesoft X Professional data acquisition software. FlexRay interface is available using third-party hardware. CAN OUT: All devices can output CAN messages. DBC FILE SUPPORT: Included Dewesoft X software enables easy read of DBC files which will automatically set CAN channels. All CAN interface support transmitting and receiving CAN 2.0b data at full speed of 1 Mbit/s per each channel. All CAN channels are isolated for worry-free CAN acquisition in noisy environments and for maximum signal quality. CAN devices with 2, 4 and 8 CAN ports are available. Multiple CAN devices can be synchronized together to increase CAN ports. Data acquisition systems like DEWE-43, MINITAURs, and SIRIUS also offer dedicated CAN bus ports. These ports offer the same CAN functionality as the dedicated CAN devices described on this page. All configured CAN channels are perfectly synchronized down to microseconds with any other analog, digital, video, etc. data sources. Even if the sampling rates between different data sources are completely different. CAN devices come with built-in synchronization port which allows for hardware synchronization with other DEWESoft DAQ instruments like SIRIUS, KRYPTON or DEWE-43. Dewesoft X makes it extremely easy to setup CAN channels. The software can read and import CAN DBC or XML files. DBC files are common files for CAN message and channel definition. After the import software will automatically set up all available CAN channels and decode CAN messages. Dewesoft CAN devices also offer OBD II, J1939, XCP and CCP protocol support. OBDII functionality provides real-time data acquisition of wide range vehicle parameters available over vehicle standard OBD II port. It only supports OBD II over CAN which is mandatory on all new cars developed after 2008. Data acquisition from Electronic Control Units (ECUs) supporting CCP or XCP protocol (over CAN or Ethernet) is also possible with no additional hardware. We offer two versions of CAN instruments intended for CAN acquisition and analysis in very harsh environments. This 8-port CAN device is built in fanless chassis and therefore no air is flowing through it. It is perfectly suited for more dusty environments. 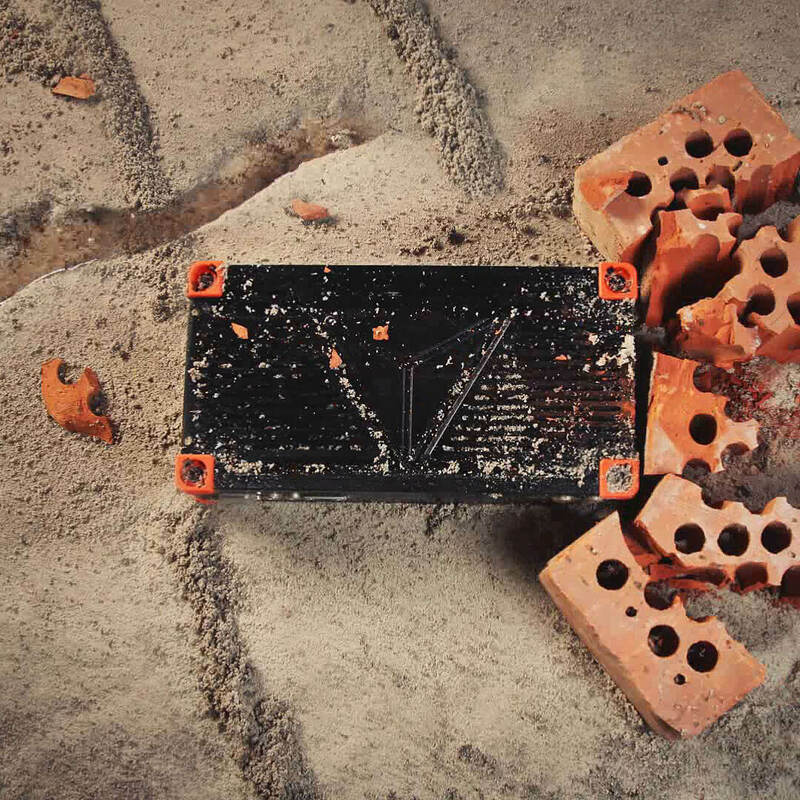 This is an even more rugged version of 8-port CAN device. This unit is completely sealed and offers the IP67 degree of environmental protection, which means the unit is dust, shock, and water-proof.